This 2-point parish is in the Municipality of Chatham-Kent. 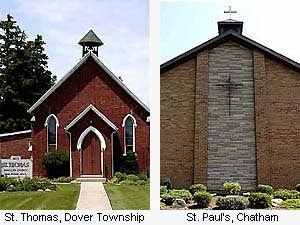 Paincourt is about 4km west of Chatham in the former Township of Dover. Rev. Kristen Oliver was appointed Deacon in Charge January 15th, 2009. She will become rector when she is ordained to the priesthood at St. George's, Sarnia on Thursday the 19th of March at 7 p.m.(St. Joseph of Nazareth). Princton, Ontario is just east of Woodstock. St Paul's is in a 3 point parish with Christ Church, Oxford Centre and St. John's, Eastwood. 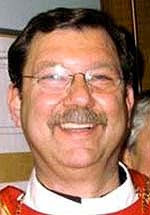 The Rev'd Bill White became deacon in charge of the parish in June 2008 and rector on his ordination November 27, 2008. On Sunday March 1st (St. David of Wales), Rev'd White will be inducted as rector by The Ven. Dr. Jim Sutton on behalf of the bishop. The service will take place at 3 p.m. at St. Paul's, Princeton. The Rev'd Canon Don Ford of the Church of St John the Evangelist, London will be the preacher. The first log church in Woodhouse was built in 1821. 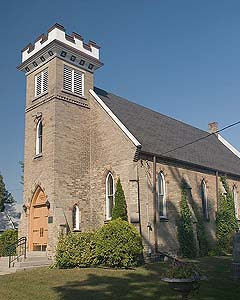 The church was shortly destroyed by fire and a new church, with steeple and belfry, was built in 1824. It was destroyed by fire in 1874 and the new St John's was completed in 1875. This church burned in 1912 and the present church was constructed and consecrated in 1914. 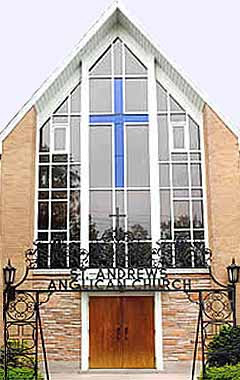 Bishop Bob Bennett's first parish assignment was in 1974 as Deacon in Charge of St John's, Woodhouse, St John's, Simcoe and Memorial Church, Port Ryerse. 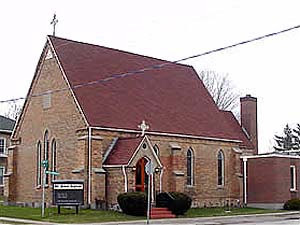 Today, St John's is part of the Parish of Long Point Bay with St John's, Port Rowan, Memorial Church, Port Ryerse and St Andrews-By-the Lake, Turkey Point. Rector is Rev. Tony Bouwmeester.